Medellín is a city of architectural contrasts: from the beautiful older buildings of the city centre to the striking modernist works associated with the recent move towards social urbanism, the city is a fascinating place for anyone with an interest in architecture. 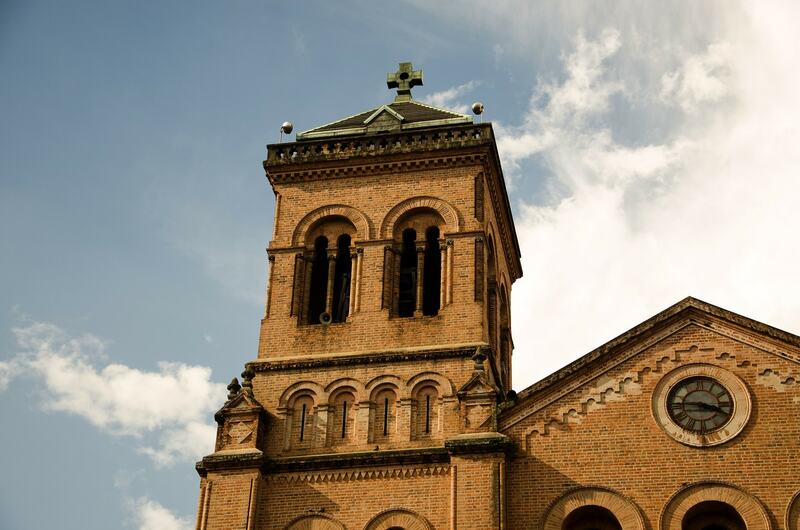 Here are some of the most beautiful buildings in Medellín, Colombia. 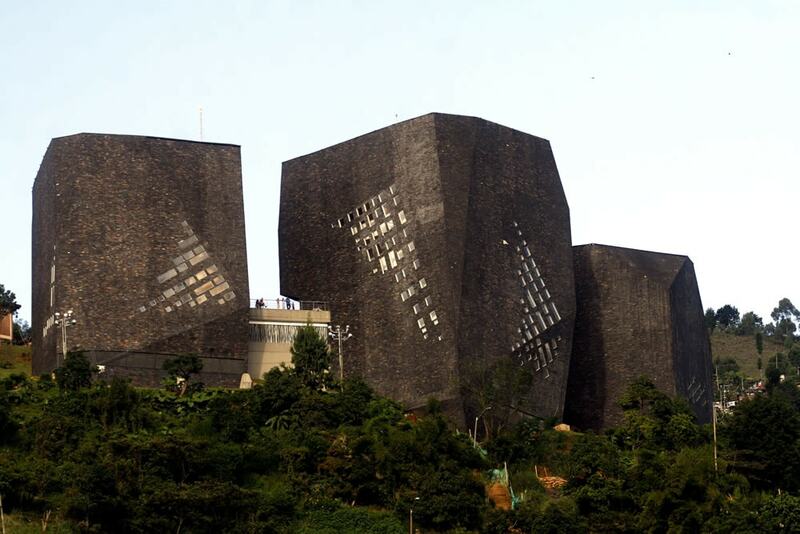 One of the famous Medellín ‘Library Parks’ located in the Santo Domingo Savio neighbourhood, Biblioteca de España—the Spain Library Park—was designed by the Colombian architect Giancarlo Mazzanti and is a truly striking addition to Medellín’s architecture. Meant to resemble three large black stones, which become illuminated at night, the library won the 2008 award for best architecture of the year at the Ibero-American Architecture and Urban Design Biennial in Lisbon. The historic Antioquia Train Station is located in downtown Medellín and was declared a National Monument back in 1996 due to its historical importance to both Medellín and Colombia. It was inaugurated in 1929 and was constructed in a French Renaissance style. Although no longer a working train station (it has been defunct for many years) the Antioquia Train Station is still maintained by a private foundation and occasionally hosts events. This stunning Romanesque cathedral was designed by French architect Émile Charles Carré and built over nearly 50 years beginning in 1875. Made almost entirely from adobe bricks with two towers measuring over 66 metres (217 feet) in height, the cathedral is an important building in Colombian architecture and was declared a National Monument of Colombia in 1982. 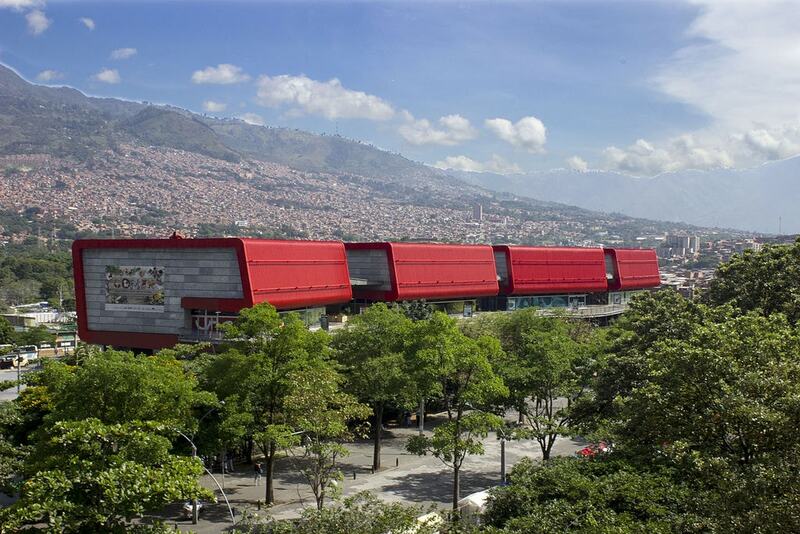 A cultural centre with spaces dedicated to music, art and cultural events, the Moravia Cultural Centre is another building meant to improve the quality of life in one of Medellín’s poorer neighbourhoods, Moravia. 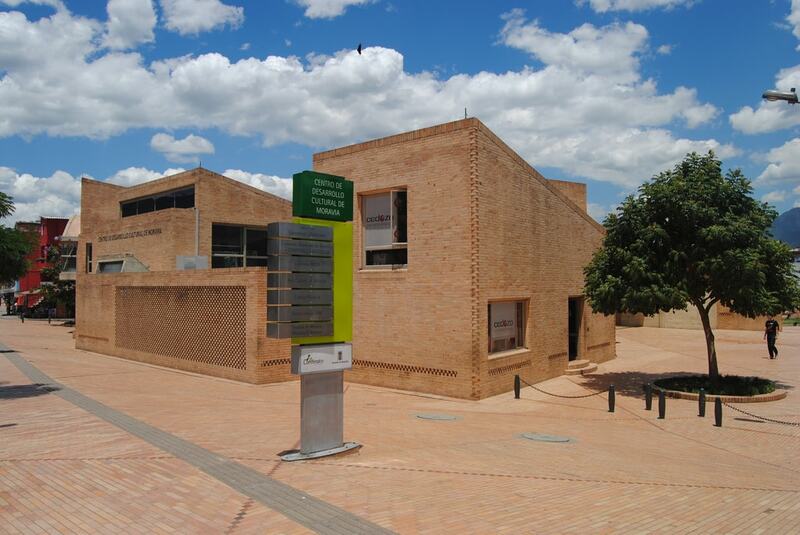 The centre was designed by prize-winning architect Rogelio Salmona and includes a 300-seat auditorium, among other things. Parque Explora is an excellent interactive science park in central Medellín and was modelled after San Francisco’s famous Exploratorium. Its unique layout of four red ‘cubes’ which house the bulk of the museum’s exhibitions was designed by Alejandro Echeverri and it contains South America’s largest freshwater aquarium, as well as a 3D auditorium and a planetarium. Another important Colombian national monument in Medellín, the Rafael Uribe Uribe Palace of Culture is a beautiful building visited by many tourists and sits overlooking the popular Botero Square. It was built in 1925 by Belgian architect Agustín Goovaerts and is especially notable for its unique and striking Gothic Revival style of architecture. Perhaps the oddest and most unique building on this list, the Castle Museum was built in 1930 and modelled after the French castles of the Loire Valley. 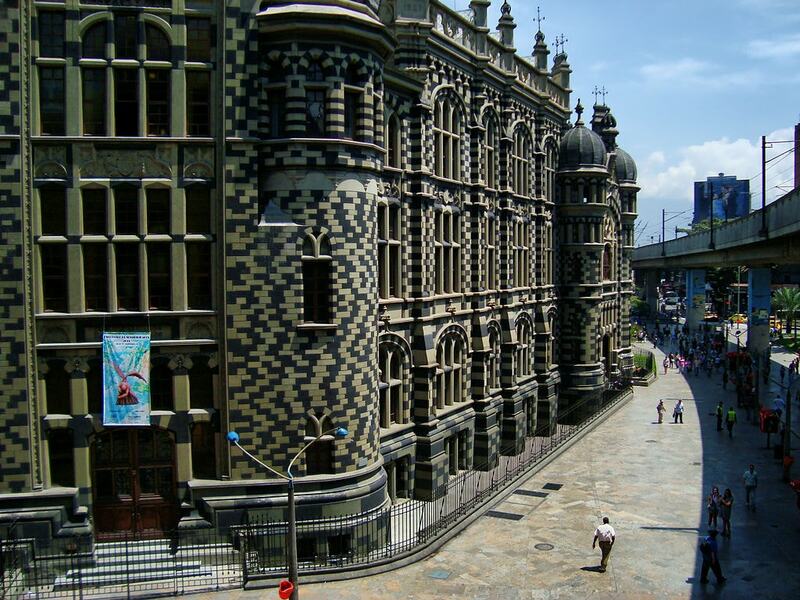 It was once the home of wealthy Medellín families before being opened as a museum in 1971. The museum houses mostly works of art, including paintings, sculptures and porcelain works, and the stunning gardens are worth wandering around on a perfect sunny Medellín day. 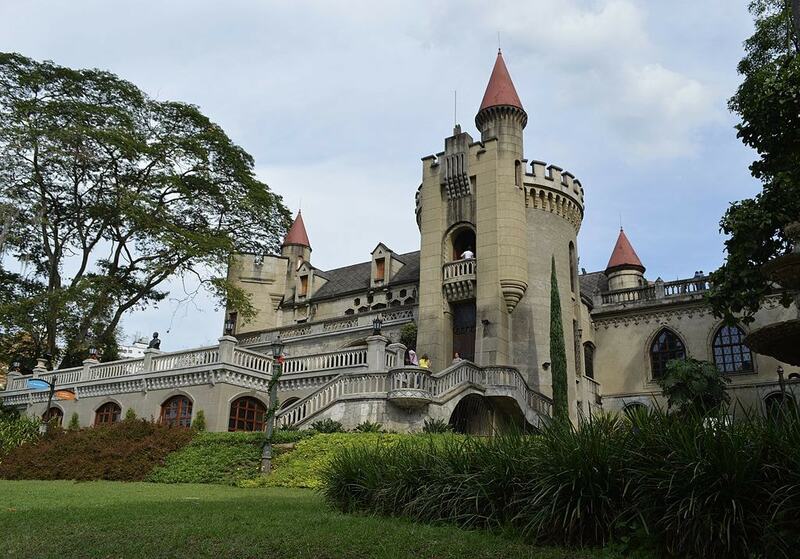 The real attraction, however, is the uniqueness of the place: a French-style castle sitting incongruously in the heart of Medellín!